How do you spell "spell?" S-P-E-L-L! 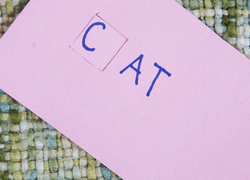 Help your child learn and practise an essential skill with these year two spelling activities. From word-building crafts to reading challenges that teach smart strategies, these engaging activity suggestions can help your child remember and recognise spelling patterns that will get them ready for school in no time at all.